Equipment: BIS’s recording teams use microphones from Neumann, DPA and Schoeps, audio electronics from RME, Lake People and DirectOut, MADI optical cabling technology, monitoring equipment from STAX and Sennheiser, and Sequoia and Pyramix digital audio workstations. 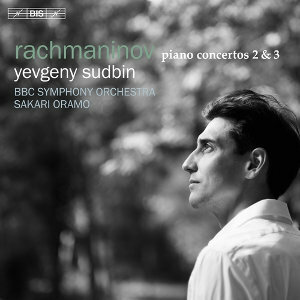 This disc completes BIS’ set of all four piano concerti with star soloist Yevgeny Sudbin. Numbers 2 and 3 are arguably the best loved and most played of all four, each with its own characteristics and demands. The only other complete set, issued as a boxed set, is the one with Stephen Hough Rachmaninov: 4 Piano Concertos, Paganini Rhapsody - Hough / Litton drawing mixed reactions here and elsewhere as far as sound is concerned. All the more reason to welcome this new one. All ingredients are in place to invoke our highest expectation: A first rate Russian soloist, one of the best Finnish conductors, the fine orchestral body of the British Broadcasting Company and BIS’ recording facility. But beware, competition for both these concerti is fierce and opinions do not always concur. The second used to be the more popular one for many years. In fact, it was for a long time the only one people knew. It took the likes of Byron Janis (Mercury, Minneapolis Symphony Orchestra, Antal Dorati) to make us aware of the explosive and dramatic beauty of the third. It was my encounter and love at first sight. Many famous pianist have, over the years, moulded the concept for Rach 2 that now seems to be the universally accepted standard. To qualify for superiority one needs to dig deeper. Without denying any competence to any of the contenders for the rosette, it certainly does help if the recorded sound and resolution is better than most. This is Sudbin’s case. The juxtaposition I referred to above does wonders and lifts Sudbin a cut above many in the top segment and in any format. I do hope I may be excused from further niceties and other typical review speak to make clear that we have here a superb performance of the second which does not pale in the face of the rest. However, in the third we will have to deal with some controversy and any judgement depends on how the listener wants to be served. 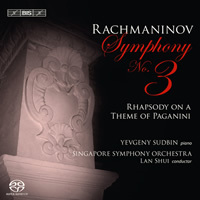 As it ‘lies more naturally under the hands’ and sounds more spectacular than the second, Rachmaninov’s third is a top favourite for many of the world’s most famous piano contests. I for one, do not belong to those who like the third being treated as mere spectacle. It risks killing much of the beauty and musical impact, in particular with regard to the first movement marked ‘Allegro ma non tanto’ (but not too much), which all too often is played too fast for my taste. 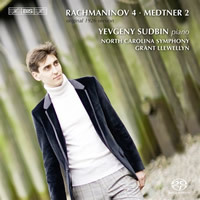 To compare Sudbin’s reading of the first movement I selected three other recordings in my collection: Stephen Hough (Hyperion SACDA67501/2); Lang Lang (Telarc SACD-60582) and from the ranks of RBCD: Evgeny Kissin (RCA Victor Red Seal 09026 61548-2). In the opening bars Sudbin’s speed is nigh ideal, played with much anticipated control, graciously underpinned by the warm sound of the BBC Symphony. But looking at the timings of the competition I noted that Sudbin is nonetheless the fastest of them all: First movement timings are 15:01; 17:42; 18:29 respectively, as against 14:40 for Sudbin. Of course, we must handle timings with care. Multiple changes in tempi and other, mostly subjective factors can make much difference as far as the real impact of overall timing is concerned. Listening test will best answer whether the Allegro is sufficiently ‘non tanto’. Remarkably enough, a notorious piano acrobat like Lang Lang, ably holds back in the opening bars, developing his undeniable technical skills further on, but still within the limits of ‘non tanto’. Temirkanov’s influence? I believe so, although in 2002 Lang Lang had not yet reached - as recently somewhat disrespectfully qualified by someone - his ‘extravagant gestures and rock-star status’. Moving to Evgeny Kissin: His ‘entrée’ is the slowest of all but at the same time the most lyrical. Quite exceptional for a young, eager and brilliant newcomer. He is, of course, greatly helped by a sumptuous Boston Symphony with Maestro Ozawa at the helm, holding everything coherently together in spite of the speed. Stephen Hough is a completely different cup of tea. He hurries off right from the start, thrusting dazzlingly forward all the way, with some restraint in the middle of the movement. The recording is taken from a live performance and, generally speaking, audiences love dare devil performances. Especially if contrasted with a dramatic slow movement and a final whirlwind. Fit for any contest. And the Dallas Symphony has no difficulty responding in equal measure to all counts. Not my first choice, but surely exceptional for those who like it this way. Virtuosi disposing of all the technical skills, are inclined to opt for speed. And so does Sudbin. After the prudent introduction he puts himself in higher gear. But in spite of a similar rush, I find Sudbin’s reading more refined and articulate than Hough’s, displaying a kind of cultured craftsmanship that doesn’t wash away the lyrical aspects. And yet, something is missing. 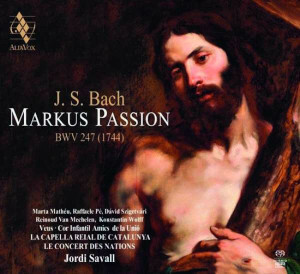 Listening several times and comparing with others, I arrived at the conclusion that it is not so much Sudbin, but the interplay and orchestral support resulting in a less passionate performance than I had expected. In fact, Sudbin’s superiority is not entirely met with the same exciting compassion from the orchestra. A touch of thrilling fire is missing. One might say that the BBC Symphony has not the flashy drama of the Dallas Symphony, the sumptuous sound of the Boston Symphony, nor the expressive vitality of the St. Petersburg Philharmonic. But In the final analysis I would rather put it down to differences in appreciation by the conductor, as all three orchestras are of similar competence. This becomes clear in the slow movement, when all four pianists can proceed in a more or less comparable drama laden, lyrical fashion. This time the score speaks, as it were, for itself. In the final movement, however, the same differences as in the first resurface. All things said, heard and done, Stephen Hough (complete set) and Lang Lang (the 3rd only) have their draw backs. The Hyperion recording is not optimal and the Telarc live recording in the Royal Albert Hall, however well played, does not include the second concerto and the same goes for my long time, lo-res favourite, Kissin. Does that bring Sudbin c.s. to the top? Looking at the (many) available recordings of either concerto, there is hardly any carrying off unanimous approval. That’s often the case with core repertoire. We all have our firmly established opinions, making it difficult to find common ground and to agree on best performances. I value this positively. Choice is wonderful. But so are economics. There aren’t many two plus three on-a-disc on the market. And while it may not be my one hundred per cent ideal performance, BIS’ offer is not to be neglected and may for now well be the best choice for your hard earned cash. The more so because of the excellent recording quality, which only few, and hardly none of the competition are able to match. He is a lovely chap and deserve his success. No unnecessary flamboyance or showboating in his performances. For me an automatic purchase. You won&apos;t be disappointed, John. I&apos;ve listened to this several times in the past couple of days. The performances are in the same exalted class as the Hough/Litton set on Hyperion, but the sound is much better, at least in mc. 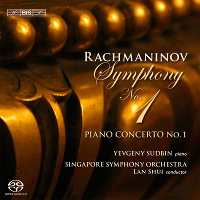 After listening all the way through Sudbin&apos;s Rachmaninov (and Medtner) I&apos;m convinced he&apos;s the guy to give us the set of Brahms concertos so many of us have been asking for since the earliest days of sa-cd.net. Well, I&apos;m allowed to dream, right? I would buy Sudbin playing the Brahms piano concertos (and the solo piano music, for that matter, especially the late stuff) without a second thought. I second both Bill and Ubertrout in their quest for Brahms. Well of course I ordered this one! Years ago on the old site I suggested the late Ivan Moravec as a partner to Fischer, which might have been asking a bit much. 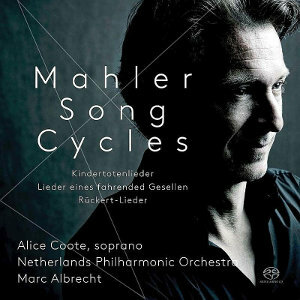 But since Fischer seems to be determined to produce gorgeous if unnecessary Mahler recordings I&apos;m not holding my breath waiting for Brahms pcs. I&apos;d be fascinated to hear Fischer, J & Fischer, I in the Brahms piano concertos. J Fischer in the Brahms PC? I have the DVD of Grieg/Saint Saens but John you are asking a little bit much when it comes to the Brahms, I think! If you are tuned in Jared, maybe you can charm Maestro Fischer into teaming up with his old pal Stephen Hough to do the Brahms concerto&apos;s? I&apos;ve heard Stephen in concert do most things with a whole variety of orchestras including a truly emotional and memorable Saint Seans 5th with the Bournemouth Symphony. By far the most successful Brahms to my ears have come from John Lill. If memory serves Hough did an excellent set of the Brahms pcs on Virgin back 15 or so years ago and a more recent set on Hyperion, say 5 years or so ago? I can&apos;t imagine Hyperion letting him off the contractual hook this soon after their release. Very odd recording for BIS. The last two movements of the 3rd concerto are stereo only - the booklet confirms my aural investigation . Did somebody wipe the center and surround feeds? Plus the recording from Maida Vale is as close to redlining as I recall from any other BIS recording. Too much reliance on the BBC crew who have not excelled on recordings for other labels? Very disappointing given the quality of Sudan&apos;s solo work. Regarding the comment about tracks 5 & 6 (the second and third movements of the 3rd concerto) being in stereo only, the CEO of BIS has confirmed that this a printing error which will be corrected in subsequent issues. 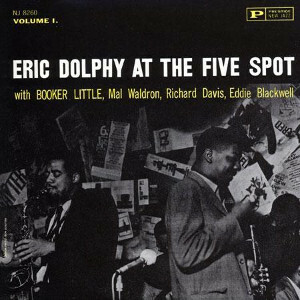 ALL TRACKS on this SACD are in DSD 5.0 surround, stereo and CD, as per all standard BIS SACD releases, so have no hesitation in purchasing this disc because of this typo. Despite the rush to market that led to such an oversight, I have been unable to get hold of a copy yet! Presto and Amazon Uk both list as a March 2nd release in the UK - unless Bissie favours you with review copy. I certainly look forward to a review here. I purchased this direct from Yevgeny himself. The autographed disc and booklet make the music even better. He must have been home as well as the writing on the sender&apos;s address looked like his own handwriting. 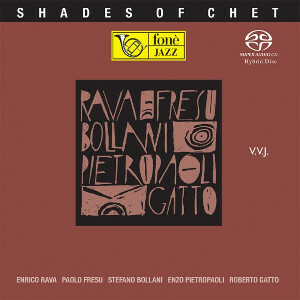 Wonderful disc. I try to support my local Bricks & Mortar outlet in Salisbury, England (The Collector&apos;s Room) as it is the only one left that I know of anywhere in the South or South East of England. They are particularly good at getting hold of certain SACD labels and happily BIS & Chandos are amongst them. Otherwise there&apos;s HMV in Oxford Street, which can hardly be labelled as B&M and for a non-Londoner impossibly inaccessible. Well Steven, I&apos;d keep the packaging as well for your copy - collectors edition if ever there was one. With a population exceeding 6 million the Philadelphia SMSA is the 6th largest urban center in the US. If there&apos;s a bricks and mortar store remaining that stocks anything but top 40 stuff and action movies on DVD and bluray, I don&apos;t know where it is (well, there is a store inside Verizon Hall, but since it&apos;s primarily devoted to the recorded legacy of the Philadelphia Orchestra and whatever soloist may be currently appearing the sacd selection is accidental at best and non-existent the rest of the time). As a result probably 95%of my purchases come from UK sources, Mr Sudbin among them, which in his case not only results in an autographed disc, but also has the happy side effect of bypassing the normal distribution process. Fine Music here in Sydney has had this disc for about 2 weeks. Got it there and very happy with it indeed. The disc was not available at my B & M store sadly, so I have followed Steven & Bill&apos;s lead and ordered it directly from Yevgeny himself. For how long did you have to wait for it? What I did notice was the lack of a confirmatory e-mail acknowledging my order. Sorry folks but I got to differ. I have great respect for this pianist and included many of his recordings in my collection his Rach 4 is unbeatable. But sadly I will give this one a miss.........not enough power not enough passion and a tad hurried.. The closest in tempi to Rachmaninov himself I feel is that of Leif Ove Andsnes with the BPO pity is not an SACD nonetheless it won the 2005 Gramophone Award for best concerto performance. But for sheer power and passion I cant go past the DG recording by Krystain Zimerman with the Boston ... again not an SACD buy who cares the fire is in the music !